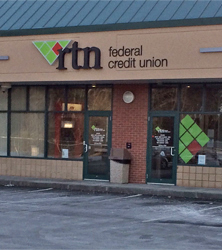 Welcome to the RTN Credit Union Tewksbury branch! We are here to assist you with your financial needs, whether you want to open an account, make a transaction, or would like any information about the Credit Union. You can find us conveniently located on Route 38/Main Street. And if you’re traveling west on Route 38, watch for our billboard on the right!